NYU Steinhardt’s Costume Studies MA Program presented an exhibition of historical and contemporary beauty products entitled The Eye of the Beholder: Decade-Defining Lids, Lashes, & Brows, on view at 80WSE gallery from January 13 through February 2, 2018. The installation at 80WSE is now closed, but the complete exhibition narrative and object images can be viewed through the online Virtual Exhibition. 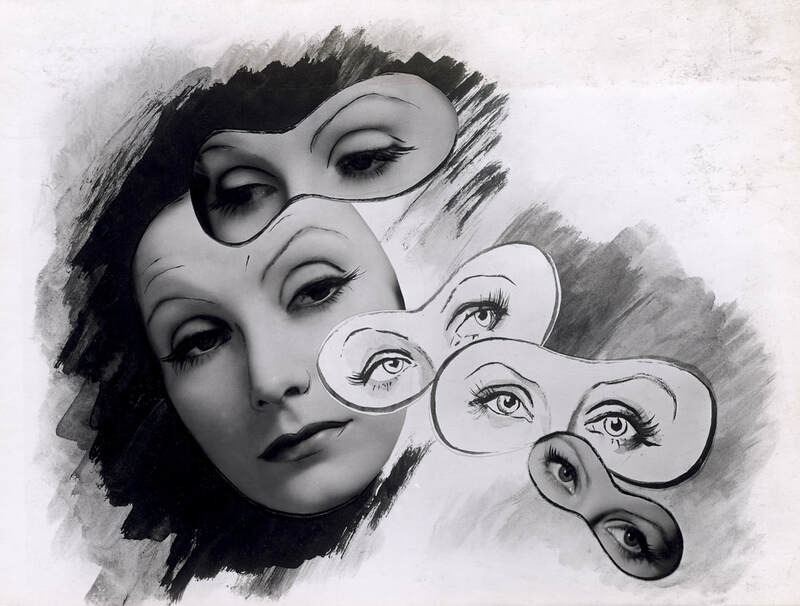 This exhibition surveys the American products, advertisements, and icons that have contributed to cosmetic lid, lash, and brow trends from the 1900s to the present day. Arguably the most distinctive feature of the face, eyes have the power to dramatically transform one’s outward appearance, while also uniquely conveying inner character. Highly expressive, they serve as nonverbal communicators of emotions ranging from sympathy and envy to fear and flirtation. Since ancient times, people have sought to enhance their eyes through preening and the application of cosmetics. Featuring publications, photographs, and material culture, The Eye of the Beholder contextualizes and synthesizes each decade’s notion of the ideal eye. ​From 1920s Max Factor cake mascara to the Urban Decay Naked Palette of the 2010s, exhibition objects include grooming tools and makeup essentials, ads, patents, periodicals, and guidebooks sourced from personal collections, such as that of Bésame Cosmetics founder Gabriela A. Hernandez, and professional archives, including the archive of Maybelline New York and the Coty Archives, Max Factor and Cover Girl Collections. By examining defining moments within the cosmetic industry’s immense commercial output, this exhibition illustrates how companies tap into the zeitgeist of each era to perpetually create a prevailing look, often reviving past beauty styles in the process. Although eye aesthetics are ever changing, the pursuit of “ideal” beauty – whether paradoxically natural or conspicuously artificial – is remarkably enduring. ​​The Eye of the Beholder: Decade Defining Lids, Lashes, & Brows was co-curated by NYU Costume Studies Master’s candidates: Jessica Barker, Lizanne Brown, Laura Gust, Adam Hayes, Elena Kanagy-Loux, Lauren Richter-Suriñach, and Stephanie Sporn, with support from Mellissa Huber, Assistant Curator at The Metropolitan Museum of Art, Costume Institute. Additional support was provided by the NYU Costume Studies program and 80WSE gallery. ​​​Since 1979, the MA program in Costume Studies at New York University has focused on the history of costume and textiles in its broadest aesthetic and cultural context. It was the first curriculum in the United States to educate specialists in this field. Part of the Department of Art and Art Professions at the NYU Steinhardt School of Culture, Education, and Human Development, the program offers courses that emphasize the relation of costume studies to material culture and the fine and decorative arts. ​Located in Washington Square, 80WSE is part of NYU's Steinhardt School. The art gallery is a space for dialogue, experimental and cross-disciplinary projects by noted artists and curators, often produced in collaboration with faculty and students from the Department of Art and Art Professions.